Mobile WordPress Site? Here’s how To Make Your Competitors Weep. why you should (if you haven’t already) make it your top priority to get your site optimized for mobile devices. The way we access information has dramatically changed as of late. With mobile technology on the rise, we spend more time on our mobile devices, reading news on the go, browsing interesting websites and even doing our shopping. And if you are a small business website owner (or is about to create your small busines website), making sure your website is mobile-friendly is crucial to your success considering 72% of consumers want a mobile friendly website. 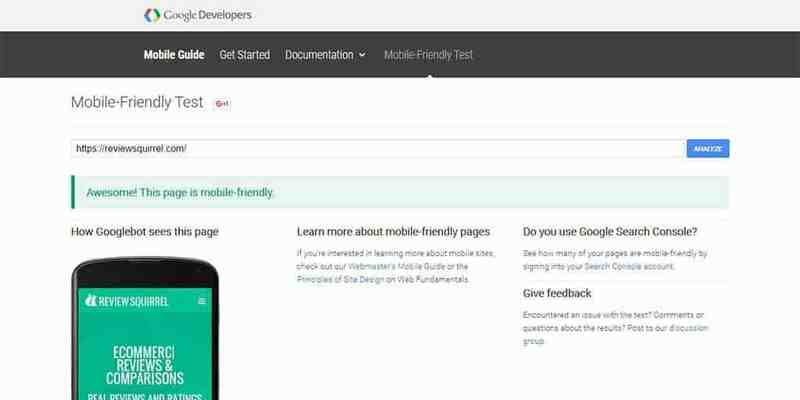 In this article, we will show you how you can test if your website is mobile-friendly, and how to make your WordPress site optimized for mobile devices. We will also take you through, step by step, what you can do to make sure your website visitors get the optimal user experience when visiting your website on a mobile phone. 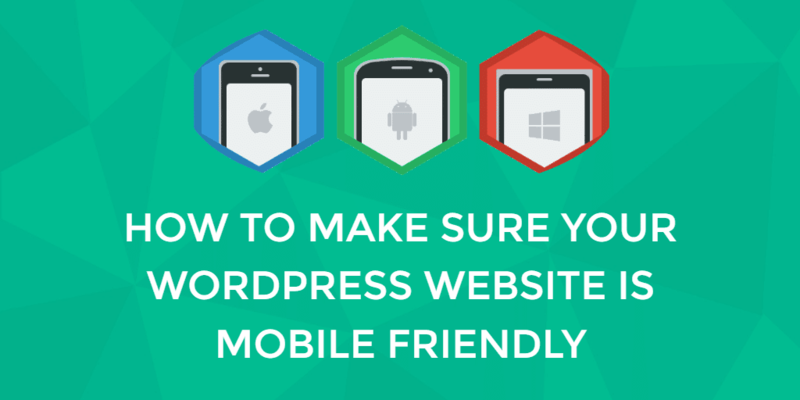 Let’s jump straight into it, how to how to make a WordPress website mobile friendly. Before checking if your website is mobile-friendly, it’s always useful to know exactly how much traffic you are getting from mobile devices. The easiest way to do this is to use Google Analytics. All you have to do is login to your Google Analytics account and select the corresponding web property for your website. In the left-hand side menu, click on Mobile and then Overview. You will be able to see how many of your visitors are coming from desktop, mobile, and tablet devices. If you are curious which devices your visitors are using when browsing your site, you can get that information by clicking on Devices. Now that you know how much mobile traffic your website is getting, it’s time to see if your website is mobile friendly. There are three tools you can use to check this. The first tool comes straight from Google and it’s very simple and straightforward to use. Open up your browser, go to Google Mobile Friendly Test and enter your website’s URL, then click Analyze. 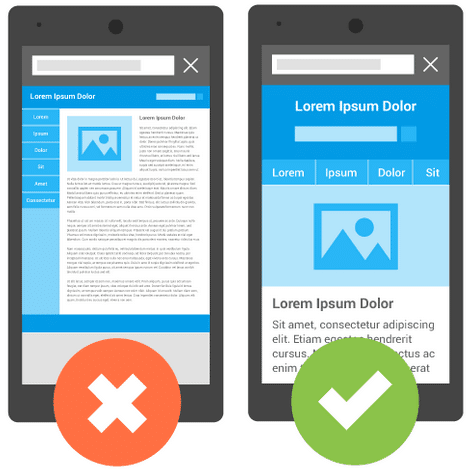 After a brief analysis, it will tell you if your website is mobile-friendly or not. If your website is mobile-friendly you will get a green message telling you so. 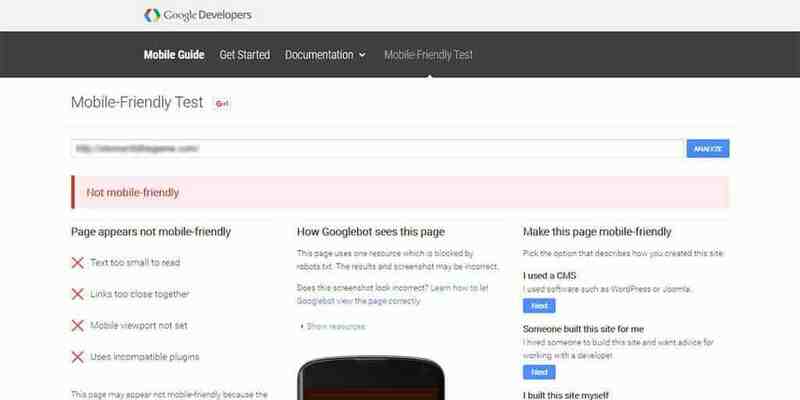 In case it’s not, the test will tell you your website is not mobile-friendly, show you which errors are causing the problem, and guide you towards helpful resources to make your site mobile-friendly. The second tool, Screenfly is slightly more robust. While Screenfly won’t give you suggestions on how to make your website mobile-friendly, or point out any errors, it will let you see how your website appears on various screen sizes, including smartphones, tablets, and even TVs. 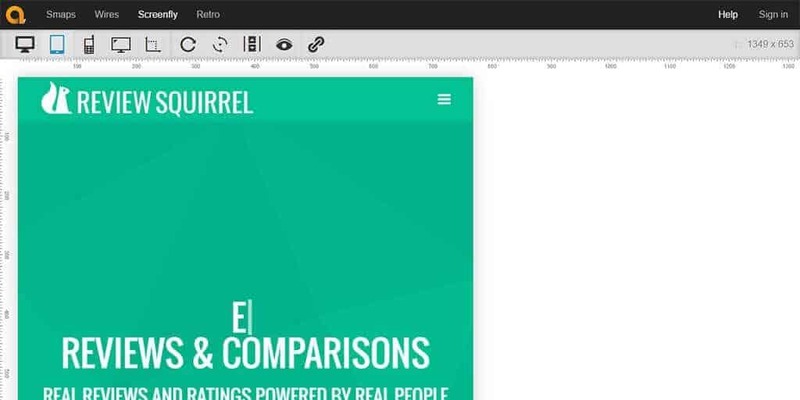 The usefulness of this tool comes from the fact that your website might have a responsive design, but there might still be elements on your website that don’t display as they should. The last tool is MobileTest.me. This tool allows you to pick a specific mobile device and after entering your website’s URL you can see how your website appears on that specific device. What makes this tool stand apart from the other two, is the fact that you can actually interact with your website as if you are browsing from that specific device. This is a great way to see how your site works on mobile devices and to test some common elements like sharing buttons and sign up forms. Even if you passed all the tests, that doesn’t mean your website is displaying properly. In most cases, website owners will really only test the homepage which might show up as mobile-friendly. However, once you start digging a little deeper, you might discover that there are some potential issues. Are your visitors who are browsing the site on mobile device able to click on the sharing buttons? Is your sign up form difficult to close thus making your website hard to scroll and see? What about your ecommerce store, can your products be bought using a mobile device? Are the input fields big enough so you can see what you are typing? If your current social sharing button doesn’t perform well on a mobile device, consider using a different plugin such as SumoMe. SumoMe is a free plugin which has a floating share bar that automatically displays on the bottom of the screen when it detects a visitor using a mobile device. Another great option is Social Warfare which resizes all sharing buttons according to the screen size, as well as allows you to disable the floating share buttons entirely on mobile devices. 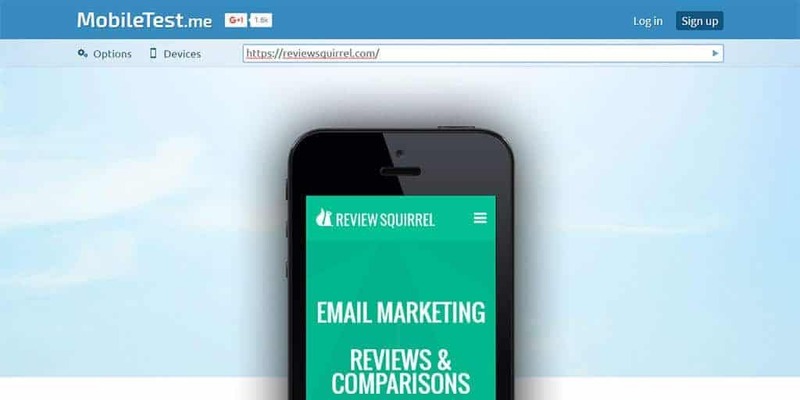 One of the most effective ways to grow your email list is a pop-up plugin. Unfortunately, many of them take up too much screen real-estate on mobile devices, making them impossible to close or they are so small that the user cannot read the text or fill out the required fields. If you are using a pop-up plugin, be sure to carefully test it on a variety of mobile devices. In case you need to find a plugin that will display properly on mobile devices, here are some options to consider. Another option is Bloom – a premium plugin that is developed by Elegant Themes so if you decide to invest in Bloom, you will also get access to their entire suite of themes. Finally, Optin Forms is another free plugin which is responsive and displays without problems on mobile devices. It offers 5 different opt-in form designs that you can add to your posts, page, and widgets via shortcodes. The second option is to install a mobile friendly plugin such as WPTouch or Jetpack’s mobile-friendly theme module. The downside of this approach is that your website will look different on mobile devices. If you rely on embedding YouTube videos or infographics on your website, you probably noticed they have a set width and height. This might hurt the experience for your mobile visitors so the best way to ensure this doesn’t happen is to follow the tips outlined in this Smashing Magazine article which explains how to properly embed external content on your website. Another plugin which will help you optimize your website for mobile is Any Mobile Theme Switcher. This plugin detects a mobile browser and displays the theme as the setting done from the admin area of your site, giving you the option to select a different mobile theme for each mobile browser. What Does This Mean for Website Owners Like You? There is a good reason why you might consider embracing AMP. Under the AMP initiative, mobile friendly pages will show up higher in search engines as well as get highlighted with a little green lighting bolt, inviting users to visit them. Google has already made a tutorial that walks you through the creation of an AMP page, making it easy for website owners to get started with AMP. 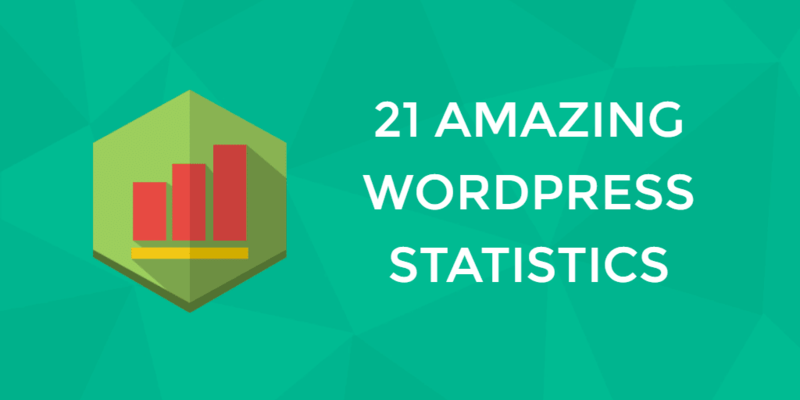 This doesn’t mean that you have to abandon WordPress in favor of ranking higher in search engines. All you have to do is install AMP plugin. With the AMP plugin active, all posts on your site will have dynamically generated AMP-compatible versions, meaning your visitors will not suffer from a poor mobile experience. In layman’s terms, Instant Articles will allow publishers to produce content and users to view content as an HTML5 document optimized for fast mobile performance. iPhone and Android Facebook users will be able to engage in visually appealing, interactive, multi-media articles right from the Facebook platform. Instant Articles will include automatic video play, interactive maps, a zoom-in feature, and audio. To get started with Facebook Instant Articles, the first thing you need to do is sign up via http://instantarticles.fb.com/. After that, you have to select your Facebook business page and claim your URL. After you have claimed your URL, the next step is to create the articles. The good news is that the articles can be published directly from WordPress. 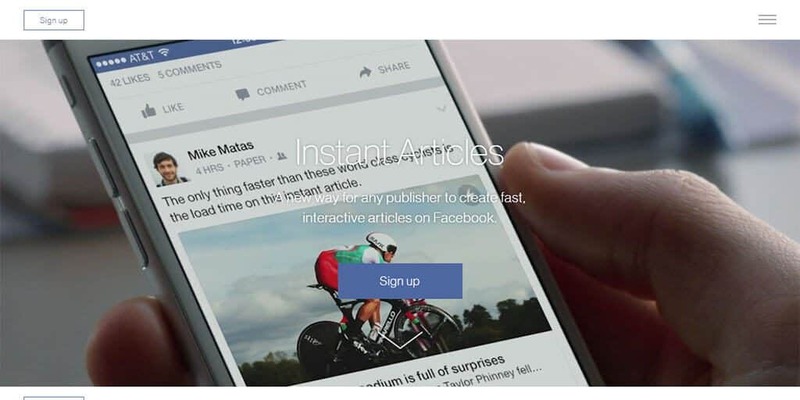 Facebook has created a plugin to streamline the process of creating Instant Articles. As of right now the plugin can be downloaded from GitHub but will soon be available from the official plugin repository. The next step is to upload your own logo and choose the fonts that will be used in your articles. Finally, submit your feed to be reviewed by Facebook to verify that all articles generated from your website are properly formatted. It’s worth mentioning that you can monetize the articles as well as include an email signup form. Having a mobile-friendly WordPress website can make a significant difference between your business attracting new customers and clients or sending them to your competitor’s websites. The best way to ensure your WordPress site is mobile-friendly is to follow the tips and practices outlined in this article. Have we missed anything or do you have a suggestion to make? Let us know in the comments below! You are here: Home > Welcome To The Digital.com Blog > Tutorials > Mobile WordPress Site? Here’s how To Make Your Competitors Weep. Next: Business Ideas: Which One Of These 75+ Startup Idea Will Make You Rich?